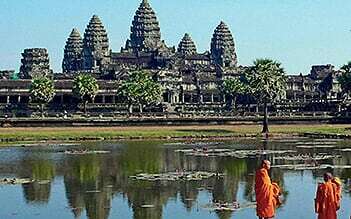 Siem Reap is the capital city of Siem Reap province in the northwest of Cambodia. 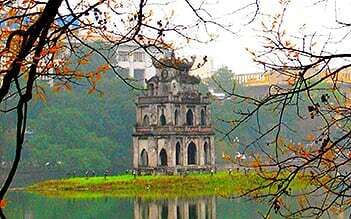 This is the attractive tourist destination which is famous for the resorts and a gateway to the Angkor region. In the past, Siem Reap was a crowded city where the Chinese and French people settled in the central streets to trade that formed the Old French Quarter with the mix of the colonial and Chinese-style architecture. In the city, there are museums, cultural villages, traditional Apsara dance performances, souvenir and handicraft shops, etc. Siem Reap today is a popular tourist destination which features a large number of hotels, resorts, restaurants related to tourism. That is opened to serve tourists on the way to Angkor temples. Before the French came to Cambodia, Siem Reap was just a small village. When French explorers discovered Angkor in the 19th century, more and more European visitors came to visit this temple complex, and Siem Reap become a resting stop of tourists. From that time, Siem Reap began to grow. The Grand Hotel d’Angkor was built and opened in 1929. However, due to the policy of the communist Khmer Rouge in the 70s, the population of this city went down and most of the urban citizens were forced to move to the countryside. Since the collapse of this weird organization, the relative stability and a rejuvenated tourist industry have revived this city and province. 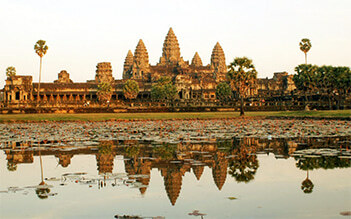 Siem Reap now is a gateway to the World’s Heritage Site of Angkor Wat. In recent years, Siem Reap has ranked in the top 10 for the “best destination” for travelers published by TripAdvisor, Wanderlust magazine and Travel+Leisure.